The Shape of Water has won Best Picture at the 2018 Academy Awards. It's Hollywood's biggest night and a whole of folks took home big awards for some of the best movies in recent memory. But one movie rose above the rest to bring home the night's biggest award. Guillermo Del Toro's dark and beautiful fairytale triumphed over the likes of Three Billboards Outside Ebbing, Missouri, Dunkirk and Get Out in order to walk away with the night's top honor. And it went off without a hitch this time. It's hard not to remember last year when looking at this year's Best Picture Oscar presentation. Once again, it was Warren Beatty and Faye Dunaway on stage to present the award. Though, this time, they had the chance to do so without a major flub. Even host Jimmy Kimmel joked about last year's Moonlight mix up before the Bonnie and Clyde stars took the stage to hand the award to the team from "Thank you. It's so nice seeing you again," Beatty said before announcing The Shape of Water as the winner of this year's Best Picture Oscar. Heading into this year's Academy Awards ceremony, The Shape of Water led the pack with a total of 13 nominations, just one shy of the all-time record. Ultimately, the movie walked away with four Oscars, including Best Picture. Guillermo Del Toro also won for Best Director, with Alexandre Desplat winning for Best Original Score and the movie also winning for Production Design. Del Toro, who was the only person to speak on behalf of the movie before being cut off by host Jimmy Kimmel, dedicated the win to young filmmakers around the world who are "showing us how it's done." He concluded by encouraging young filmmakers to tell their stories. This was easily one of the tightest Best Picture races at the Oscars in recent memory, with several movies having a shot at the grand prize. However, it was that ultimately The Shape of Water, a movie beloved by many and one that finally got Guillermo Del Toro widespread critical and awards recognition for his work, that walked away with it. Three Billboards Outside Ebbing, Missouri was seen as the other major contender, with Get Out and Lady Bird seen as possible dark horse upsets. Three Billboards' powerhouse performances were ultimately honored, with Sam Rockwell winning for Best Supporting Actor and Frances McDormand winning for Best Actress. Get Out also claimed a historic win for Jordan Peele, who became the first ever African American to win for Best Original Screenplay. 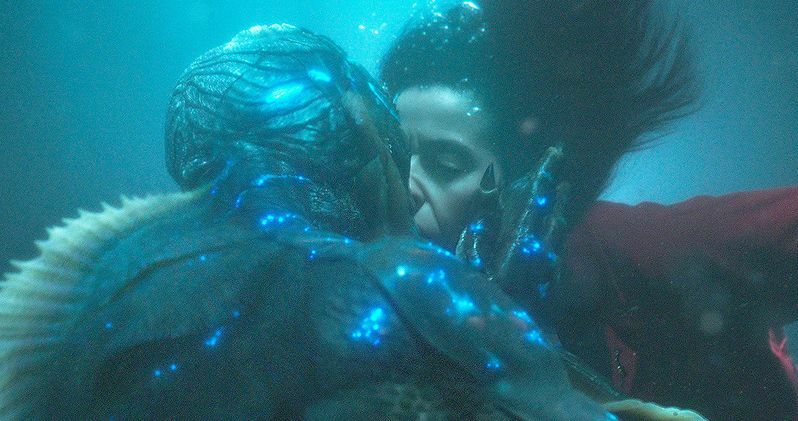 Guillermo Del Toro defied the odds and made a dark fairytale, that is ultimately a love story between a mute woman and a fish monster, that somehow managed to win over the Academy. That's something that would have seemed unfathomable not long ago, but also speaks to just how likable The Shape of Water really is, despite being a genre movie with some rather strange elements in it. Especially considering that movies like Dunkirk and The Post, movies that feel much more like traditional Oscar movies, were also nominated for Best Picture this year. Though Get Out would have been the more surprising win, The Shape of Water winning the Academy's top prize still feels like a significant one.